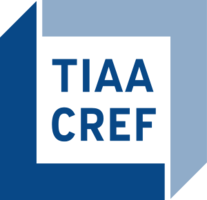 For more information about TIAA-CREF, visit TIAA-Cref’s website. TIAA-CREF desires to find an analyst to join its Corporate Governance team. The Corporate Governance team works to enhance the environmental, social and governance risk management practices of more than 9,700 companies held within TIAA-CREF’s investment portfolios, with the objectives of increasing shareholder value and improving long-term performance of targeted companies, as well as protecting against downside risk. The Corporate Governance team participates in a variety of activities, including active ownership, public advocacy, thought leadership and proxy voting consistent with our commitment to best practices and value enhancement. The team’s public advocacy and thought leadership efforts include regular dialogue with public policymakers and regulators and participation in industry and academic conferences. The team also partners with internal colleagues on various initiatives including Responsible Investment, business pitches and RFPs which touch on the enterprise’s corporate governance capabilities. At least one year of experience in Environmental Social Governance work is required, three plus years preferred. Ability to read and analyze financial statements is required. Excel experience is required, quantitative modeling experience is preferred. Must understand the role we play as an asset manager and representative of asset owners. Strong, clear writing skills, the ability to distill detailed and potentially complicated issues into clear, concise communications. Equal Employment Opportunity is not just the law, it’s our commitment. Read more about the Equal Employment Opportunity Law. If you need assistance applying due to being visually or hearing impaired, please email Careers Help.